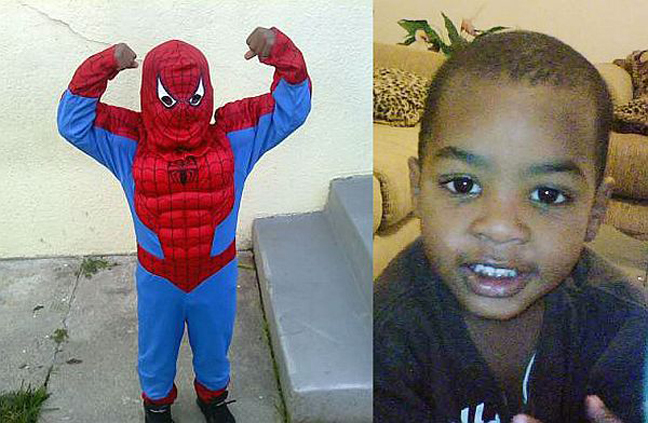 A prosecutor told jurors Wednesday that eyewitnesses linked a reputed gang member to the Halloween 2010 killing of a 5-year-old boy shot to death in his back yard while wearing a Spider-Man costume, but a defense attorney said there’s no physical evidence to connect her client to the crime. 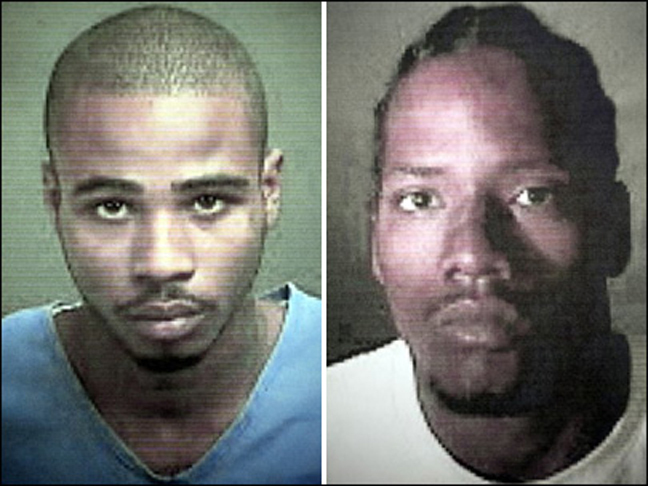 The Los Angeles Superior Court jury is the second to hear the case against Leonard Hall Jr., now 25, who is charged with murdering Aaron Shannon Jr. and trying to kill the boy’s grandfather and uncle, who were wounded in the 1000 block of East 84th Street in South Los Angeles about 2 p.m. on Oct. 31, 2010. A mistrial was declared in March 2013 after the first jury said it was deadlocked 9-3, with the majority in favor of guilt. In her opening statement, Deputy District Attorney Sarika Kim showed jurors a photo of the boy – taken minutes before the shooting – showing off the Spider-Man costume his grandfather had bought for him. Hall and another reputed gang member, Marcus Denson, allegedly went into rival territory in the midst of a gang war and initially passed behind the family’s back yard via an alleyway, according to the prosecutor. Eyewitnesses subsequently identified Hall as the man who returned to shoot the tot and two of the child’s relatives, who had no gang affiliations, Kim told jurors. Hall’s attorney, Carol Ojo, countered that the issue was “who fired this shot and what the evidence shows,” telling jurors that there was “absolutely no physical evidence” linking Hall to the crime. The defense attorney also questioned eyewitnesses’ identification of Hall as the gunman as well as why he would have been with Denson, saying that the two did not get along with each other. Hall is charged with one count of murder and two counts of attempted murder, along with gang and gun allegations. Denson, now 23, previously pleaded guilty to one count of voluntary manslaughter and two counts of attempted murder and is facing 25 years in state prison.